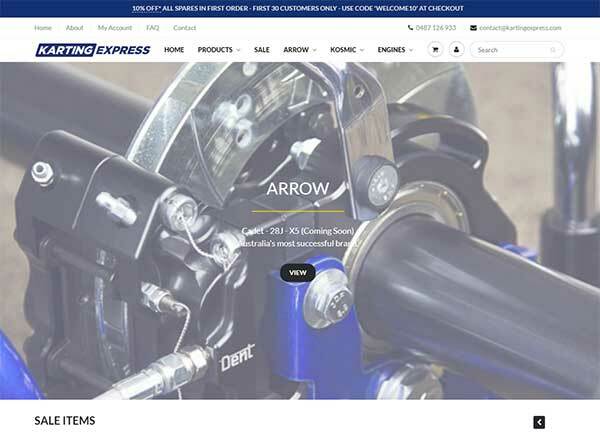 Karting Express is new webstore solely dedicated to providing a comprehensive range of products and exceptional service to the karting community. With dedicated passionate staff that have been involved in karting for over 30 years combined at a local, national and international level, we have the expertise to ensure that you get the best information regarding your product. It is our mission to share our level of enthusiasm and passion for karting with you. Stocking over 30 major karting brands including the full OTK and Kartech product range, with shipping taking place daily, we are confident we will be able to provide you with a seamless and timely shopping experience. For those that don’t yet purchase online, we are here to show you just how effortless and time saving it can be. With minimal shipping rates and an upcoming customer loyalty program, you are more than certain to save on your karting costs with Karting Express. Please feel free to contact us if you have any questions throughout your shopping experience, and be sure to stay tuned for exciting news, updates and promotions. Intro Offer! As a celebration of the official launch, Karting Express is offering 10% off all spare parts in the first order for the first 30 customers! To get the 10% discount, simply type the code ‘WELCOME10‘ at checkout (excludes karts, engines and tyres).